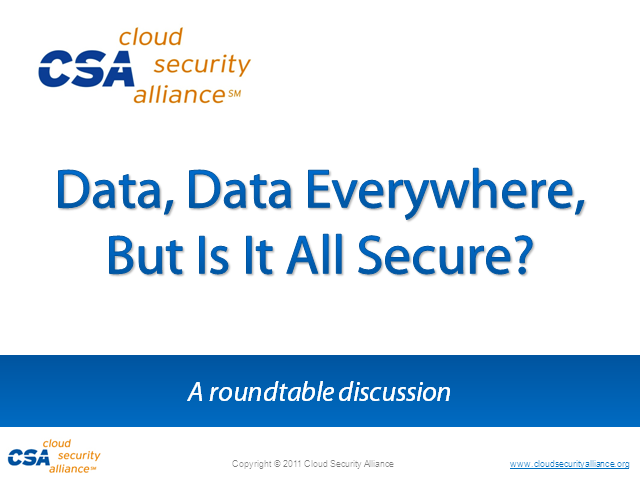 Data, Data Everywhere, but Is It All Secure? Cloud is growing into the most efficient and flexible means of computing, but with the transformative technology come myriad security questions. This panel webinar brings together some of the leading minds in cloud security for a high-level look at the validity of the most serious concerns and provides a look at how you can reap the benefits of cloud without sacrificing the security of your company's precious data. Title: Data, Data Everywhere, but Is It All Secure?